HF: The following information comes from a variety of sources. IDJ has kindly sent several of the images. Following a meeting of the Executive Council to discuss land reclamation, Bendyshe Layton a British businessman and member of the Legislative Council, suggested to Sir Catchick Paul Chater that Hong Kong acquire an electricity generator. Chater, who was to remain a director of the new Hong Kong Electric Company for 37 years, took charge of raising finance for the project. The company was incorporated in 1889. The total capital of $300,000 being divided into 30,000 shares, half of which were offered to the public. At 6:00 p.m. on December 1, 1890, 50 street lights along Queen’s Road Central, Battery Path and Upper Albert Road were switched on. The lights failed on the second night then again one week later. Thereafter there were no further faults for 26 years. The power station was built in “colonial architectural style” and after decommissioning in 1922 was later demolished. 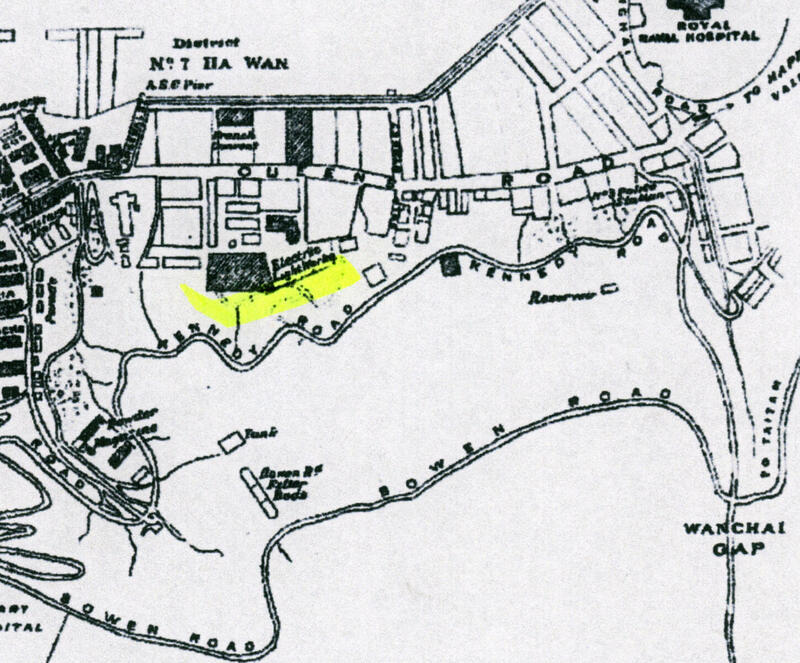 Street lighting was later extended west as far as Bonham Strand and Caine Road then later along Queens Road East and Wanchai Road to Mission Hospital Hill (site of the present Ruttonjee Hospital). In the 1890s, as electricity became popular, the first private houses were connected to the company’s supply to power lights and fans. On the commercial front, a substation was built in 1898 to service the lifts of the new tall buildings mushrooming along the waterfront. 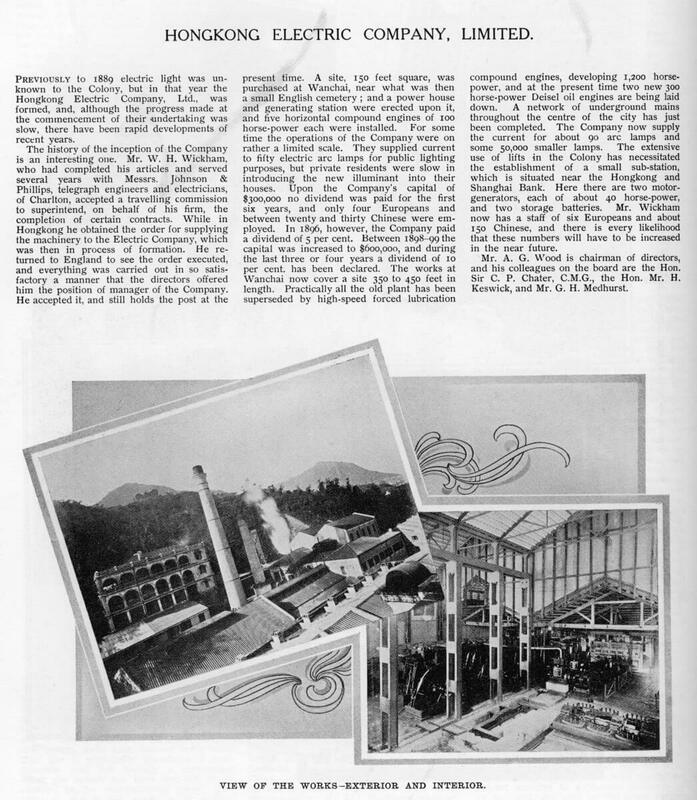 By 1905 the company was supplying power for 15 lifts, thousands of lamps as well as for street lighting. The power grid was extended underground to West Point then later to Victoris Peak and Shau Kei Wan. 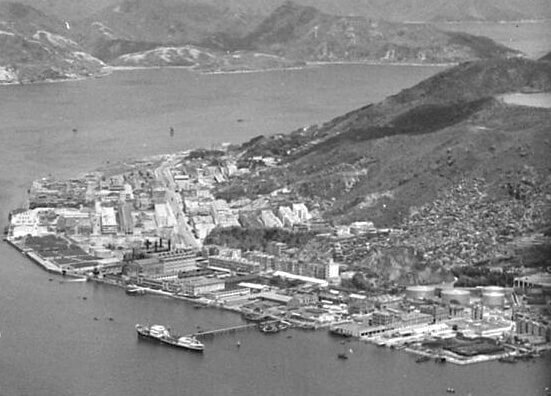 By 1916, Aberdeen and Ap Lei Chau were also connected. One by one large organisations like Dairy Farm, Taikoo Docks, the Peak Tram and the University of Hong Kong which had formerly generated their own supplies, switched to the company’s supply. In 1924 there were 1,369 street lamps lit by gas with only 469 powered by electricity. 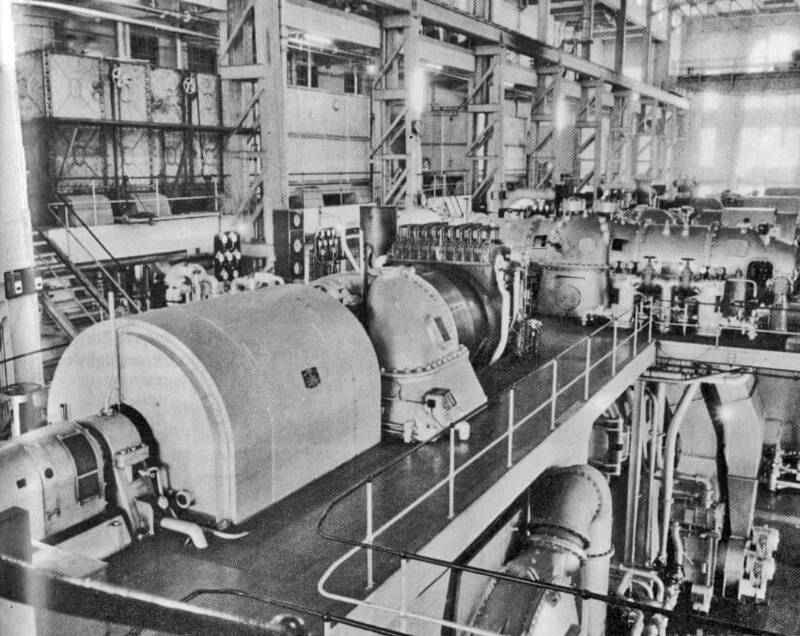 HEC’s second power plant, North Point Power Station, started operation in 1919. 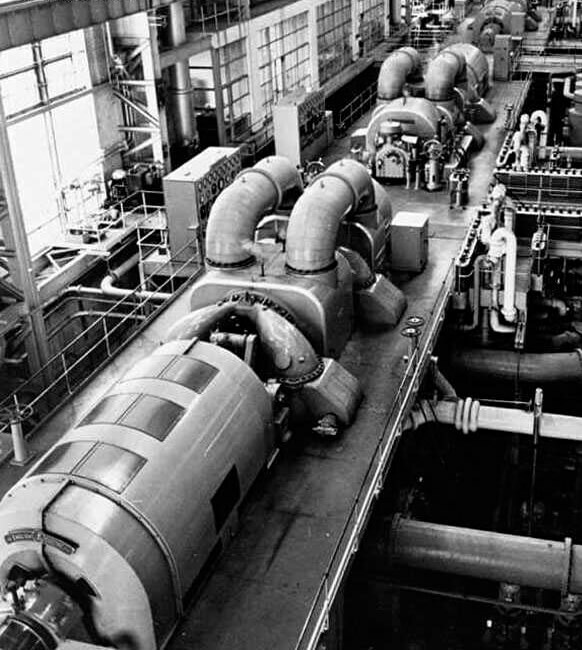 There was actually a series of power plants built between then and 1966. The site is now home to City Garden residential apartments and Maxim Mall. The original North Point Power Station (A) was a 3,000KW coal-fired generating station. 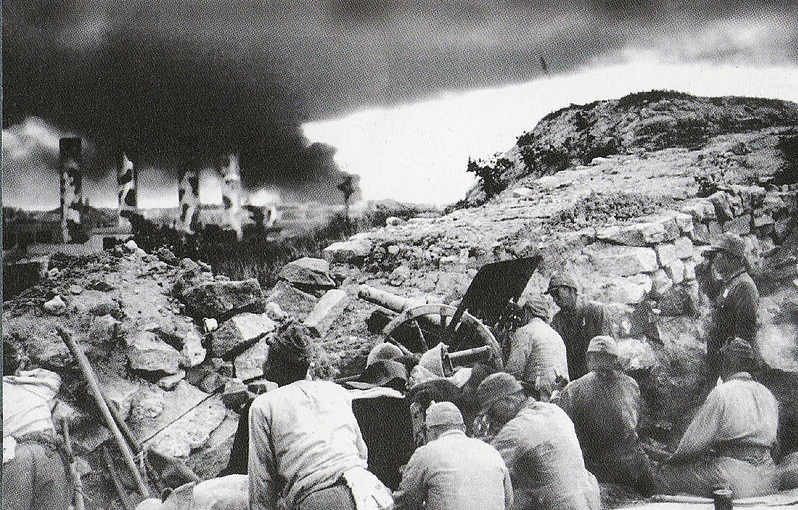 During the Japanese invasion of Hong Kong in December 1941, a number of staff at the North Point power plant held the Japanese at bay in an epic defence. Casualties from the battle included the plant’s manager Vincent Sorby, who died in a prison camp of wounds received during the attack. 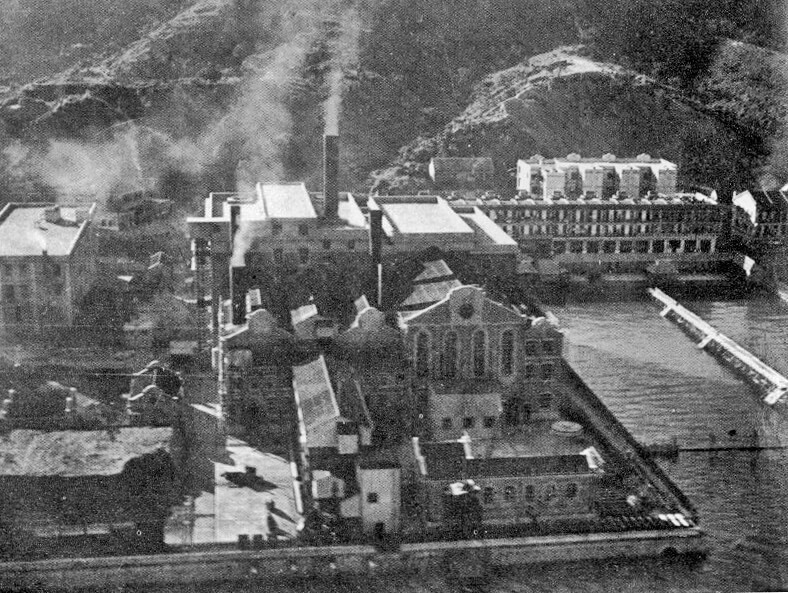 IDJ adds, This aerial image of 1948 which incudes the HEC North Point Power Station with its four chimneys shown in the above image, has additional interest as it also shows an large oil tanker unloading at what is presumably “Oil Street” which still exists, and the large oil storage tanks further over about where the Fortress Hill MTR Station is. Also a reservoir can be seen at the top of the slope above North Point. It would appear that squatter huts heavily populated the slopes above North Point/Causeway Bay even in 1948. 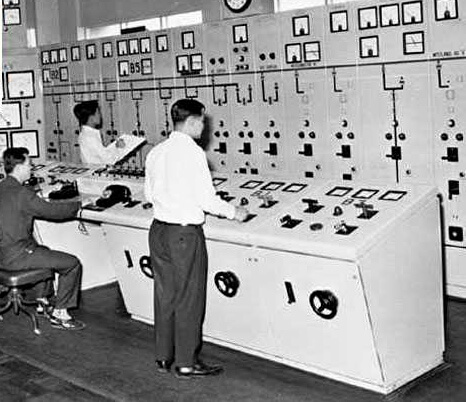 North Point Power Station (B) was 30MW also coal-fired and opened in 1958 closing in 1989. North Point Power Station (C) was 60MW and oil-fired opening in 1966 and decommissioned in 1989. 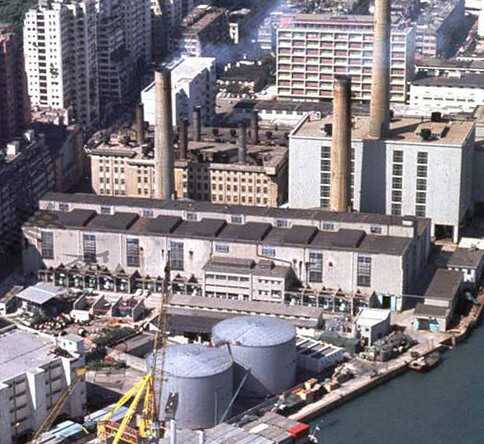 The oil-fired Ap Lei Chau Power Station which was the third power station of the Company, was commissioned in 1968 and produced 750MW. The plant was decommissioned in 1989 though between 1984 and that year its generators had been moved to Lamma Power Station. The remaining HEC building is now surrounded by the South Horizon housing estate. 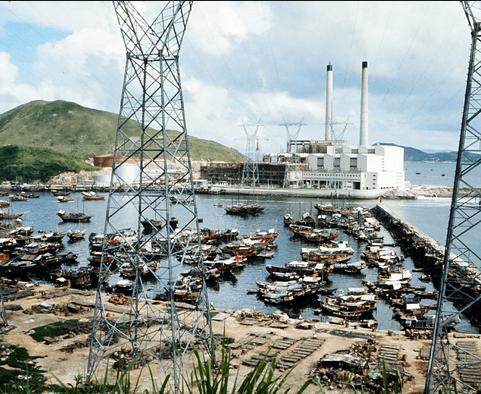 And so to Lamma Power Station located at a 50-hectare site at Po Lo Tsui at Lamma Island, which was gazetted and granted by the Hong Kong Government to the Company in December 1978…. Source: Wright, Arnold, : Twentieth Century Impressions of Hongkong, Shanghai, and Other Treaty Ports of China: Their History. People, Commerce, Industries, and Resources. London: Lloyd’s Greater Britain Publishing Company, Ltd., 1908. This article was first posted on 9th July 2015. What a wonderful site, my Dad worked for HKE his whole life, apprenticed then evetually became senior shift charge engineer. He was capyured at North Point power station by the Japanese and spent the war in a POW at Narumi in Japan. Returned to work post war and reconnected with his sweetheart and got maried. My brother sister and I were born in HK and lived first at Causewayhill then at the power station then at Cavendish Heights. He retired in 1968 and moved to live in Largs in Scotland until his death. Very good to hear from you. I wonder if you could tell me your father’s full name? There are several websites dedicated to the Battle for HK, the Japanese occupation and what happened to POWs. It would be of great interest to learn a few more details about his working life at Hong Kong Electric. My grandfather Robert Dunlop worked at HKE and was a prisoner of war with your father. My grandmother Frida Dunlop was also at HKE and she was a prisoner of war at Stanley camp. I am compiling all my grandparents journals and photos. 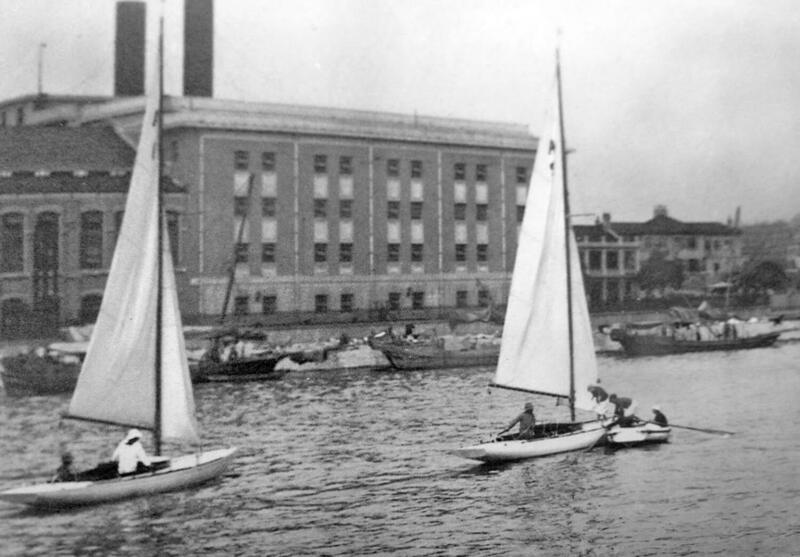 After the war my grandparents returned to England and then back to HKE to rebuild and eventually immigrated to Canada. My father, Ian Henderson was employed at HEC as an Electrical Engineer from 1968. He worked at North Point and Ap Lei Chau. We resided at 19 Cavendish Heights – I understand from a previous communication with Derek that we actually moved into his old flat. My mother taught German at the Geothe Institiute in Central for many years and volunteered in the Kowloon Walled City helping families and their children. I was sad to learn that the original Cavendish Heights was knocked down and rebuilt. My father returned to UK in retirement in 1987 where he lived until his death last year. We spent many happy weeknds sailing around the waters in Hong Kong on his boat Shogun.